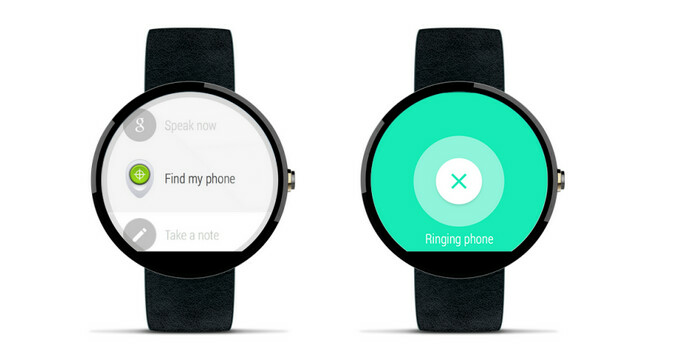 Google is rolling Android Device Manager out to Android Wear powered smartwatches. This will help those with a lost or stolen Android phone use the feature to lock their handset, track it, make it ring and wipe all of the data remotely. The phone has to be powered on, of course. All you have to do is say to your watch, "Ok Google. Find my phone." Or, from the start menu you can select 'Find my phone.' Either way, your missing handset will ring at maximum volume. If you hear it, great. If not, you will need to use the Android Device Manager's other tools to find and secure your device. Android Device Manager is being sent out now to Android Wear devices, which means that it is possible that your smartwatch has yet to receive it. The beauty of the rollout is that it does not require you to download an update. Actually, all you need to do is just sit back and wait for the new features to be available on your timepiece. It shouldn't take longer than a few weeks to complete the rollout. Google debuted the Android Device Manager in 2013. According to the official Android Blog, it has since helped 30 million Android users find a lost or missing phone or tablet. With the Device Manager on Android Wear smartwatches, that number should go up at a faster rate in the future. I don't get it. If your phone is out of blue tooth range, then how is the watch suppose to help you? I guess it's just like Android Device Manager on phone, but now available to be controlled on Android Wear watch. I mean even for the phone's app, if you lose your phone, that app is no good. You will need another phone, tablet, or laptop to locate your lost device. Android Wear has wifi now.